You are here: Home / Blog / Join Explorers this January! Join us for our year round youth program, Explorers! 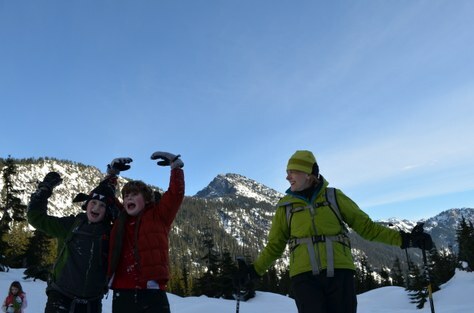 Join Mountaineers families and leaders for monthly outdoor adventures. Explorers is a year-round outdoor adventure program for youth ages 10-13 who want to learn new outdoor skills, and make lasting friendships with fellow adventurers. Parents are invited to attend our outings but never required. Activities are chosen based on the interests of the members, including: Hiking, Rock Climbing, Cross-Country Skiing, Rafting, Snowshoeing, Camping, Kayaking.